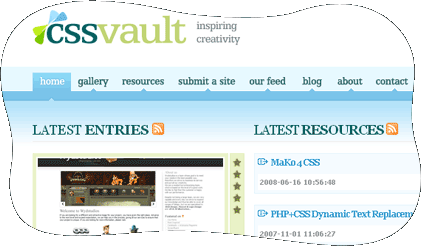 Once the most watched CSS site showcase online, the CSS Vault needed an identity update. Something brighter, with some great new features. After a few quick mock-ups, I found a great design that suited the site well.